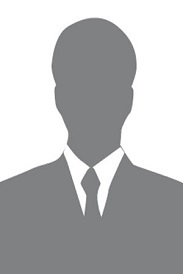 FlexiEle HRMS is a hire to retire HRM software helping companies manage their human workforce efficiently. The FlexiEle HRMS software is technically robust yet flexible and can be integrated with ERPs like SAP, Oracle, etc. The FlexiEle HRMS software aims at empowering the HR team of the company with various tools which can help make their work life easy like payroll processing, attendance tracking & monitoring, self-service portals, etc. all through FlexiEle HRMS. FlexiEle is a software development company founded with more than 20 years of experience in HR ERP solutions. The company was formed with the vision to provide an all in one ERP application to cater the growing business needs around the globe with most customizable solutions to ever changing customer needs. Employee Self Service (ESS) will interact with other systems like Payroll, Leave Management, Learning, etc. to give employees greater access to information and then the ability to update personal information, access policies and submit documentation to HR. ESS provides access to an employee’s learning transcript throughout the employment life cycle, competency mapping and performance appraisal history, and access to payroll information and history. The platform can be set up to offer any type of leave an organization offers, such as annual leave, sick leave, paid time off, maternity/paternity leave, sabbatical, etc., as well as creating a holiday calendar. Employees are able to submit time off requests through the system or mobile device that get routed to the appropriate person for approval. Approvers can view other leave requests within a team or department to make determinations based on staffing levels. To meet the varying needs of clients, Attendance Management offers flexibility for everything from the observed payroll period that is set up to how employees record attendance. FlexiEle’s Document Management gives HR the ability to scan required legal documents and have the ability for authorized individuals to access them anywhere, anytime. Employees can even access many of their own documents through ESS, such as passport, visas, qualifications etc., which are often time-sensitive, and necessary for travel and other purposes. Task management comes in handy as it keeps people at all levels of the organization informed about items requiring their attention. From line staff to executives, no one wants a process to be held up or an employee to miss because a routine task was not completed. This feature increases accountability since it improves documentation of when items were requested and by whom. Additional reminders can be sent for follow-up purposes, even to mobile devices. Sustainably successful organizations share one characteristic: high performing, talented people committed to organizational success. In competitive labor environments, an efficient and effective recruitment process can make the difference in attracting and hiring top talent. FlexiEle Recruiting provides the necessary edge by creating a process from requisition to on-boarding that is flexible to an organization’s business needs. When done right, performance appraisals are a valuable tool for feedback, development and accountability. They create opportunities for thoughtful dialogue between an employee and supervisor and serve as a look back in assessing an evaluation period, but more importantly, as a road map for future success by incorporating goals and objectives for the upcoming review period. Appraisal Template– Organizations are complex and often require many different positions that are difficult to evaluate with one appraisal. FlexiEle provides a customizable platform to configure different appraisal templates for various positions’ performance management. FlexiEle’s comprehensive Learning Management System (LMS) is designed to develop employees to take an organization to higher levels. The system integrates with many of the other HRMS modules, such as Performance Management and Competency Mapping because for employees, learning and development are integral pieces to keeping those people engaged in their work, managing performance and increasing competency levels. FlexiEle offers a payroll software that meets the needs of employees and HR and Finance professionals, all with the flexibility to do so on a global scale. From the support during setup and implementation to the amount of information employees will be able to access; this is where payroll meets high performance. FlexiEle is Software Development Company providing ERP solutions. Currently providing HRMS, Leave, Attendance, Payroll, Expense, Recruitment, Talent, Performance, Learning or Training, Exit Management Systems along with Employee portal and Online Helpdesk system. FlexiEle's cloud based ERP is global solution which accessible through internet any where across globe. System is also available as on premise system to cater need of any industry with any number of employees. Q. What do you mean by FlexiEle HRMS? Q. Why is FlexiEle HRMS important? Q. What is the purpose of FlexiEle HRMS? The responsibilities of a FlexiEle HRMS fall into three major areas: staffing, employee compensation and benefits, and defining/designing work. Essentially, the purpose of HRM is to maximize the productivity of an organization by optimizing the effectiveness of its employees. Q. 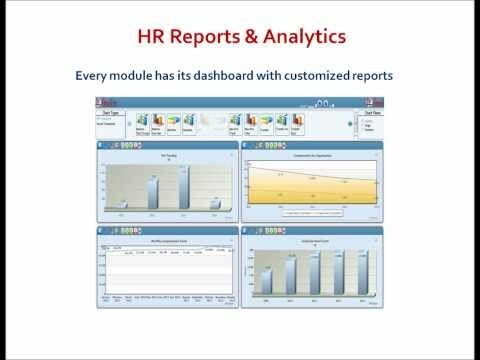 What are recruitment tools in FlexiEle HRMS? We haven't purchased our software yet but it will be one of their recommendations. What a fantastic service 10/10 I've since signed up with them. Quick and easy way to get advice regarding software options to fit your business. Really easy straight forward process from purchase to implementing the software.